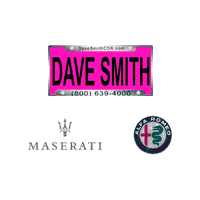 Dave Smith Coeur d’Alene has a huge inventory of quality used cars for you to choose from. Our ever-changing inventory may include many popular used cars such as: Chevy Malibu, Dodge Challenger, Cadillac CTS, Mazda 3, Nissan Altima, Subaru Impreza, Toyota Corolla, Volkswagen Jetta and more. If you cannot find the car you are looking for CONTACT US and we will look for a used car that meets your selections and let you know when it becomes available.